Carol and I have now been in Africa for over a week. Thank you for all your prayers and support. We are blessed to have your prayers, friendship, encouragement, and support! Our children and their spouses, Joshua, Rebecca, Josiah, Anna, and Kenny blessed Carol and me by sending short notes placed in “treasure boxes” to read and candies to eat. They included remembrances during childhood and encouragements. Carol and I at times laughed; at other times tears fell. Our lives have been so blessed and full of love! We have been able to Skype a few times this week. I am grateful for technology but it doesn’t replace hugs and playing with the grand kids. Pray for Carol and me in this as we miss our family very much. It was an honor to preach in Patrick’s church, First Presbyterian Kampala, on Sunday the 14th. 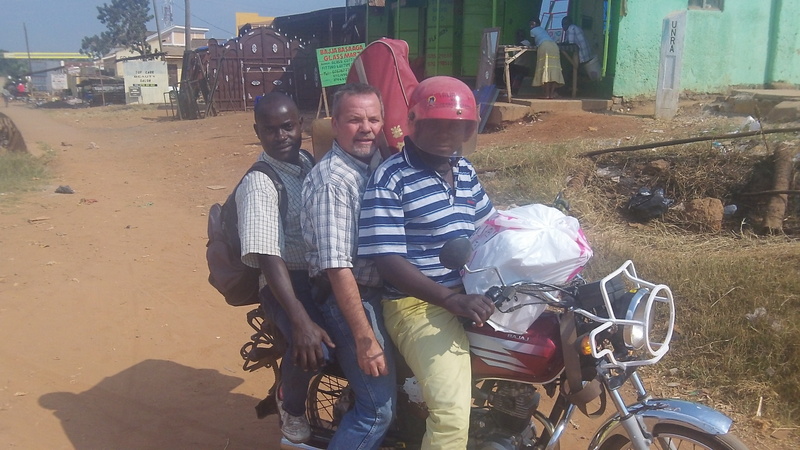 I have preached there many times since my first trip to Uganda in ’06. I have many good friends at First Presbyterian. This church has been faithfully preaching the gospel since the late ’70’s, Idi Amin’s time. At the end of the service the congregation prayed for Carol and me. We are very grateful for this family of faith! It is especially nice to be here with Carol. I have come so many times without her. On July 10th we celebrated 32 years of marriage here in Uganda. My oh my how the time has flown, the Lord was so good and gracious to me by placing her beside me! I am so grateful for her! Most of our first year of marriage was spent in India as missionaries and now 32 years later we hope to pour out the rest of lives for our King primarily in North Uganda, South Sudan, and Northeastern D.R. Congo. God has given her much grace to put up with me and walk together in the calling He has given us together as a couple. May the Lord give us many more years together in His service! We turned in our passports today to get our 3 year work permits and should have them returned soon. Please pray God’s hand of favor to be with us with the government officials. We spent much of our first week getting things for the RAU Guesthouse/Hall of Tyrannus and our new home. 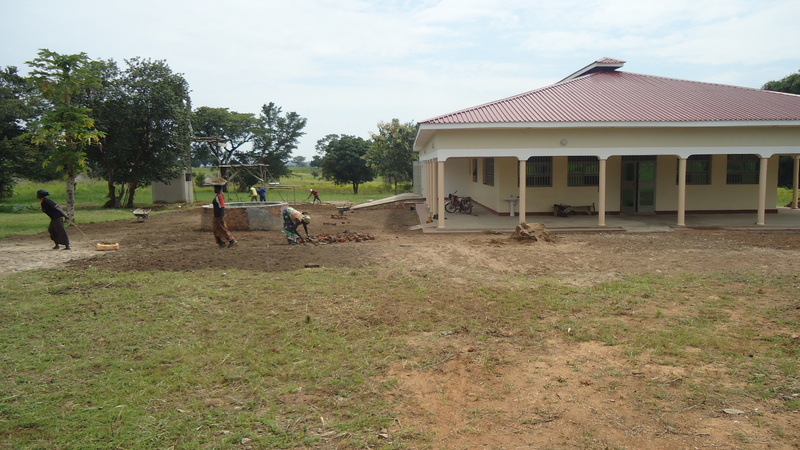 We have bought things to get water flowing inside the Guesthouse, solar panels and accessories, household items etc. Please pray for continuing provision as money has been flowing quickly through our fingers getting these provisions. Please help if you can. We should be heading north to RAU sometime this week. Some more money has come in for the 1999 Land Cruiser we are hoping to purchase. Please pray with us that we can get the remaining funds soon so that we can order it and begin using it for ministry. Thank you for all your prayers and support! “The way of the warrior is the resolute acceptance of death” (Mariko Yashida) and “As long as I can spend my life for Christ I care not whether I am eaten by cannibals or by worms” (John Patton). May we all as Christians be so resolute in following our Lord and King—Jesus! The article below written by Tim Challies brought me great encouragement as I read it. May it encourage you as well as you press on to honor King Jesus! The Bible tells me I am to store up treasures in heaven. It tells me there are eternal rewards for decisions I make in this life and it tells me I should desire these rewards and act accordingly. And yet sometimes I feel the desire for reward is a sign of spiritual weakness rather than strength, like that is for lesser Christians and that I should grow beyond it. I struggle with the idea that I am to be motivated to obey God in this world by the promise of reward in the next. It has always struck me as wrong, as something a little bit less than noble, that I would obey God not purely and solely out of a desire to obey him, but out of a desire to increase my eternal reward. Have you ever wondered about that? Is it wrong to be motivated by rewards? Somehow in my mind it seems like the reward must negate the joy or the purity of obedience, and especially when it comes to the way I handle money. Shouldn’t I want to give out of the joy of obedience? Shouldn’t I want to give simply because I love the God who commands me to give generously? Randy Alcorn has helped me as I’ve pondered this. In his book Managing God’s Money, he refers to God granting eternal rewards for faithful obedience “the neglected key to unlocking our motivation” and digs up plenty of biblical proof that our Bible heroes were motivated by this kind of reward. He offers Hebrews 11:26 as a simple example: “He [Moses] considered the reproach of Christ greater wealth than the treasures of Egypt, for he was looking to the reward.” And, of course, we know that the Apostle Paul was also running with his eye on the prize—the crown that would last forever (1 Corinthians 9:25). Both men were doing the obedient thing on earth with a view to eternal reward. Even Christ endured the cross “for the joy that was set before him” (Hebrews 12:2). He humbled himself knowing that he would soon be exalted. He, too, found his motivation in the eternal reward that would await him—in this case the glory of his Father as he is worshiped by a church washed and redeemed. This challenged me. If I maintain that it is wrong to be motivated by rewards, I am bringing an accusation against Christ, suggesting that he was wrongly motivated. And I bring that same accusation against Paul and Moses and others. To say “I don’t do anything for the reward—I do it only because it’s right,” may appear to take the spiritual high ground. But, in fact, it’s pseudospiritual. Saying that there’s only one good reason to do something denies the other ways God himself uses to motivate us. It contradicts all the passages of Scripture that unmistakably attempt to motivate us by our desire for rewards. This is convicting! I may feel like I am taking the moral high ground when I say, “I do it only it because it’s right,” but that is actually pride talking. It is pride telling me that I know better than God. Whose idea is it to grant rewards to faithful stewards? Alcorn offers a metaphor. Suppose that I offer my son a reward if he spends his whole Saturday working outside with me. “Put in a day’s work and I’ll pay you $50 and take you out for dinner.” Is it wrong for my son to now desire the reward I have offered him? Of course not! That’s one side of the metaphor. Here is the other: As a father, I want my son to desire this reward. I want him to want it, and I want him to have it. It will be my joy to give it to him. I even want it to motivate him to joyful work based on joyful expectation. It would be wrong of my son to demand a reward for obedience, but it is not wrong for him to desire one if I have offered it. In the same way, it is God’s idea that there should be this close relationship between obedience and reward. God designed me and all of us in such a way that we are motivated by incentive. It’s who we are. This gives me the joy and freedom of doing the right thing because it is the right thing and because I will receive God’s reward. The two are complementary, not in conflict. The fact is, God does not have to reward me for what I do. Instead, he chooses to and delights to. At the end of the long day’s work, it is my joy to hand my son his reward and to take him out to dinner. At the end of the long day’s work, he honors me by accepting the reward I offer him. Why should I grant God any less? 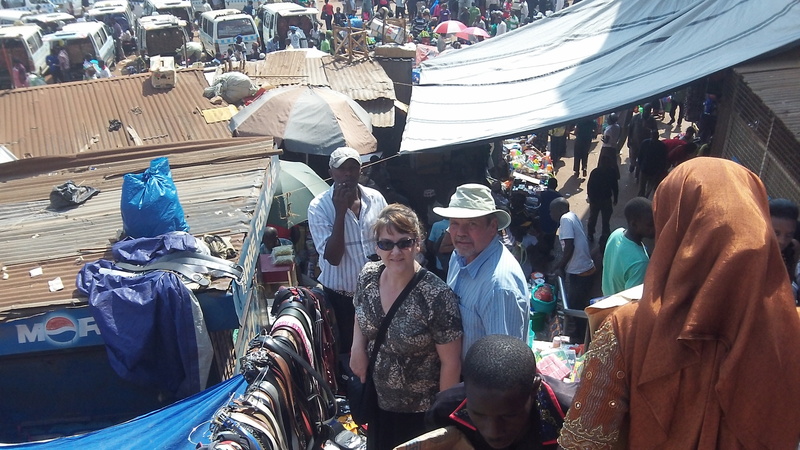 So good to see the picture of you two in Kampala! Grateful that you’ve arrived safely and that you’re making progress in getting supplies for the guesthouse/hall. The Lord is certainly a Creative Provider, and He will reward you both for your faithfulness in carrying out His work through RAU…as He provides what you need. Praying for you here in N TX! Amen…Thank you Doug. I am looking forward to getting up north to “Madi” land to be able to give out the beautiful Madi Tracts you helped us get here :-)! !